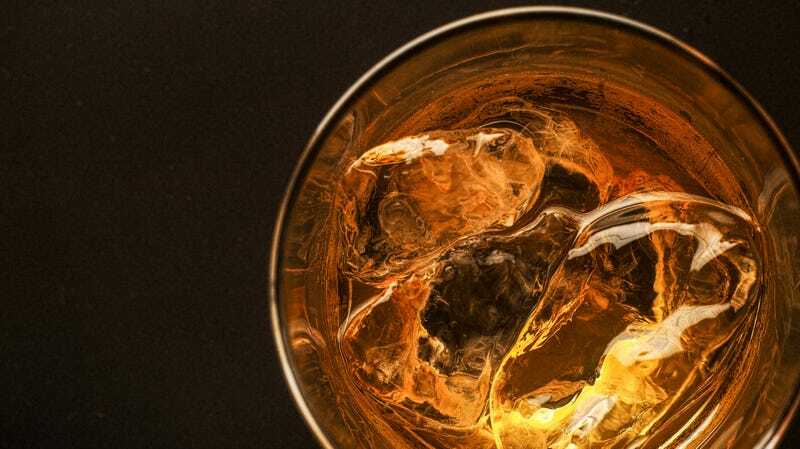 It’s possible to make whiskey taste as though it’s been aged for years without actually aging it for years, and it does not require possession of a TARDIS. What I did learn today, and probably should have suspected, is that other people are doing it, too—and one of them works at a bar, not a distillery. At Quadrant Bar & Lounge in Washington, D.C., lead mixologist Chris Mendenhall has come up with his own system, and it also involves wood chips. Mendenhall soaks chips of new American oak in a nine-year, 120-proof bourbon (he won’t say which). He then takes those chips out and soaks them in another vat of the 120-proof nine-year, and hits that vat with sound waves. What?! After removing the chips, they place them in a fresh vat of the same whiskey and “hit it with sound waves” for “about as long as you’d watch a TV show,” explains Mendenhall… He says the resulting whiskey tastes like it had been aged around 20 years instead of nine. There’s something delightfully American about people being so impatient for aged whiskey that they invent ways to fake time. I can’t speak to the quality of the Quadrant’s work, but Cleveland’s spirits are tasty indeed.